Prior to this race, Trainer SY Lim was questioned by the Stewards about his riding instructions to Jockey M Ganeesh for WE’RE THE WORLD, which won its last start but has demonstrated a variable racing pattern depending on the distance of the race. In the presence of Jockey M Ganeesh, he stated that he wished him to sit where the gelding was comfortable, but hoped that WE’RE THE WORLD would demonstrate sufficient speed to take a forward position. 1. After brushing with D’GREAT ERA shortly after the jump, he chose to restrain WE’RE THE WORLD when he could have attempted to follow D’GREAT ERA and improve into midfield in the early stages. 2. Approaching the 600M, he opted for an ambitious and unlikely inside run when he could have eased back less than one length and attempted to develop a run to the outside of BURN NOTICE (Y Aify). 3. After switching outside for clear running which he obtained at about the 300m, he rode with insufficient vigour between the 300M and the 200M. 4. When WE’RE THE WORLD commenced to shift inwards at about the 100M, his efforts to correct and straighten while riding a vigorous finish were not of the expected standard. 5. From about the 100M, he took too long to pull his whip through to the left hand and was therefore unable to use it in the concluding stages. In assessing the penalty, the Stewards took into consideration Jockey M Ganeesh’s poor record pertaining to charges laid under MRA Rule 44(10), his mitigating factors and his submissions on penalty. He was suspended from riding in races for a period of six (6) months with effect from 11 February 2019 and to expire on 10 August 2019, both dates inclusive, to be served concurrently with his suspension in Race 7 today. He was also fined RM20,000/- and advised of his Right of Appeal. 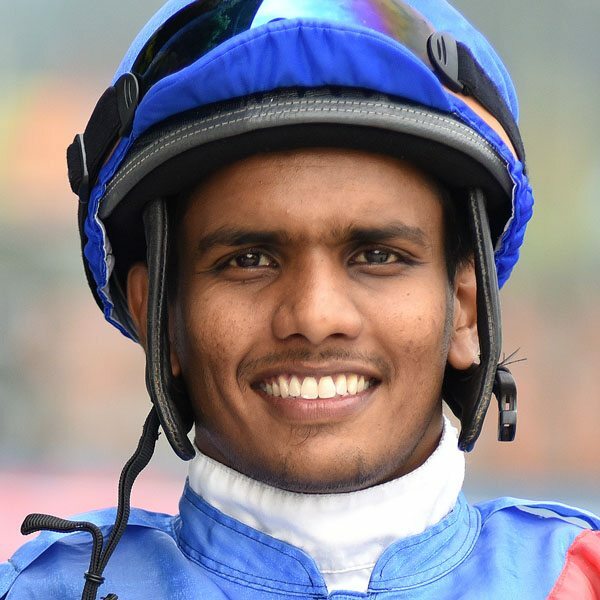 At the conclusion of an inquiry, Jockey M Ganeesh, the rider of CHAR SIEW, pleaded guilty to a charge of careless riding under MRA Rule 44(9)(a)(ii) in that at about the 150M, he allowed his mount to shift outwards without adequate corrective measures, when not sufficiently clear of SUPER EIGHT. In assessing the penalty, the Stewards took into consideration Jockey M Ganeesh’s guilty plea, mitigating factors, previous riding record and his submissions on penalty. Acting on the provisions of MRA Rule 48(5), the Stewards deferred the commencement of his suspension. He was suspended from riding in races for a period of two (2) Malaysian race days with effect from 11 February 2019 and to expire on 17 February 2019, both dates inclusive. He was advised of his Right of Appeal.